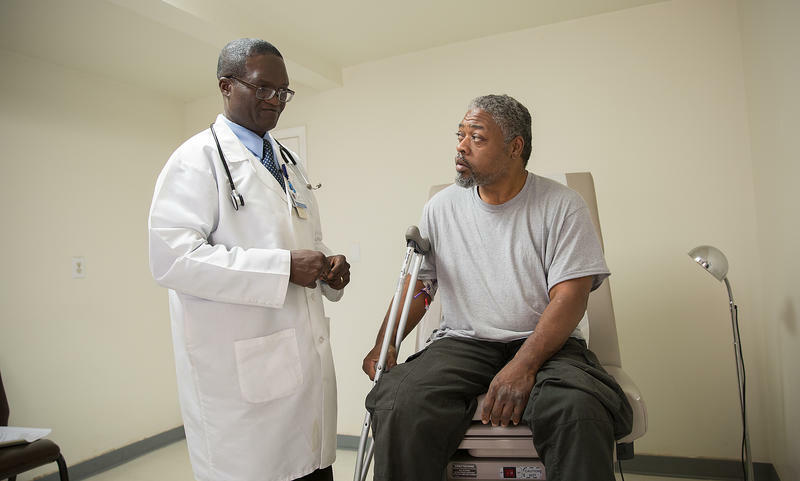 Dr. Francis Aniekwensi is a partner at Beckford Medical Center. 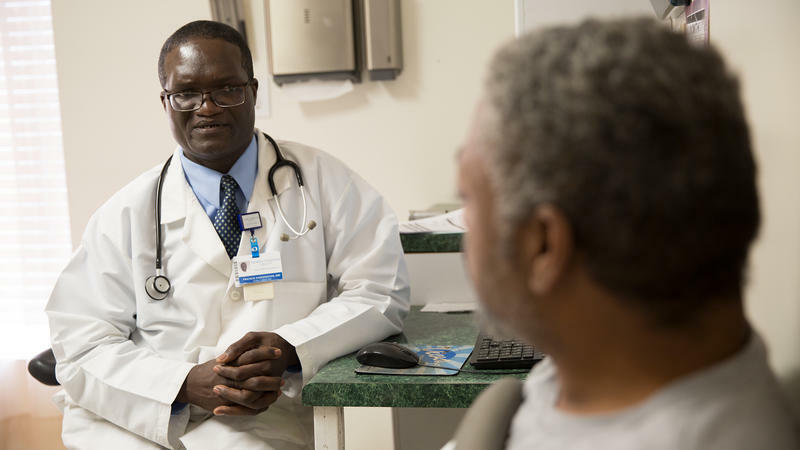 In Warren County, a primary care desert, Aniekwensi is working to improve health conditions for the more than 10,000 patients who frequent the three Beckford clinics. Aniekwensi is a partner at Beckford Medical Center. 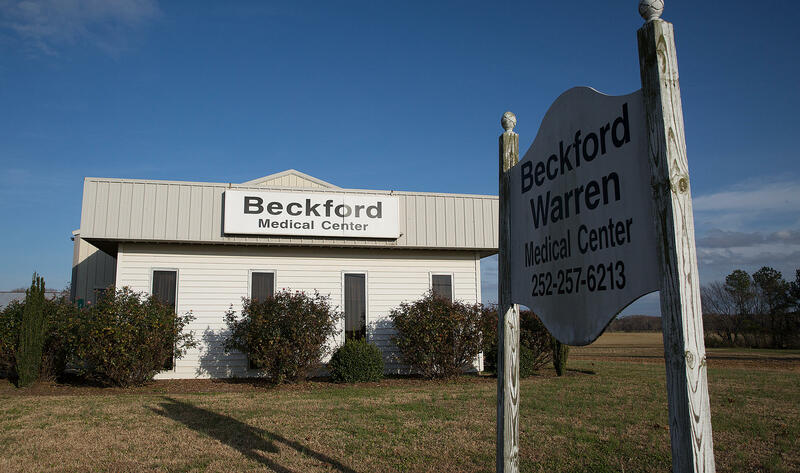 He and Dr. James Kenney operate Beckford clinics with locations in Franklin County, Vance County and here in Warren County. And when Aniekwensi is not here, Kenney is here. That’s how Warren County has at least one doctor on duty, every day. Numbers from the Public School Forum of North Carolina’s 2017 Roadmap of Need backs this up. It shows Warren County has half a doctor for every 10,000 residents. That ranks Warren County 98 out of 100 counties for its number of physicians. There are dozens of free health clinics across North Carolina, but there is no longer one in Warren County. In this primary care desert, Aniekwensi is working to improve health conditions for the more than 10,000 patients who frequent the three Beckford clinics. Aniekwensi says 70 percent of his patients are adults and most of them suffer from hypertension or diabetes, including Calvin Elps, who visited on a recent day for a checkup. Elps had his foot amputated a few days ago after suffering complications with diabetes. Aniekwensi asked the 48-year-old patient if he’s had any problems or fever since he left the hospital. “How about your home health nurses, have they been coming to check on your wound?” Aniekwensi asked. After the patient visit, Aniekwensi said to be a doctor in Warren County, you have to really want to be here. The exterior of the Beckford Medical Center in Warren County. Aniekwensi has a big laugh, and a big heart. The 47-year-old was born and raised in the West African country of Nigeria. And that’s where he graduated from medical school. Before his residency at New York Medical College, Aniekwensi worked in Lesotho, a small, rural, mountainous country in southern Africa. Aniekwensi said he was sad to see the Warren Community Health Clinic close its doors last year, due to lack of funding. He would sometimes spend his lunch break there, volunteering. Aniekwensi says when patients at Beckford Medical Center were between jobs and insurance, they could get free help at the Warren Community Health Clinic. Now many of those patients are back in his office, whether they can pay or not. Aniekwensi will see about 10 more patients before the day is over. A slow day. His days in Henderson, in nearby Vance County are much busier. NOTE: This report was produced as a project for the Dennis A. Hunt Fund for Health Journalism, a program of the USC Annenberg Center for Health Journalism. If you know of a former patient of the Warren Community Health Clinic in Warrenton, email Race and Southern Culture Reporter Leoneda Inge at linge@wunc.org.